The School of Design is pleased to welcome designer Primo Orpilla to the Louisiana Tech Campus. 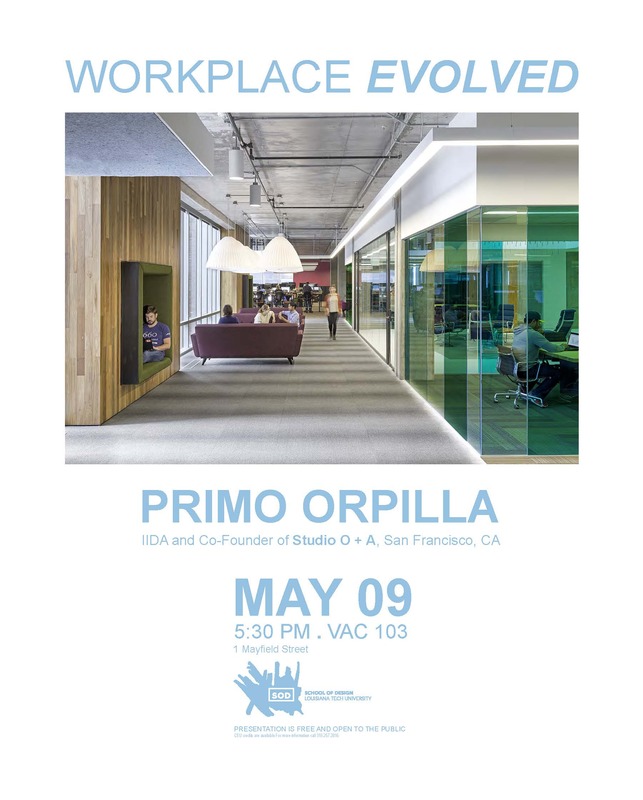 Primo Orpilla, IIDA, is co-founder of Studio O + A, an internationally recognized design studio located in San Francisco. With working ranging from interior architecture, to graphic design, to branding and environmental graphics, Studio O + A has won numerous awards, including recently becoming a recipient of the Cooper Hewitt National Design Awards for Interior Design. Their clients include Uber, Cisco, Alibaba, Yelp, Zazzle, Microsoft, Acxiom, and Open Table.